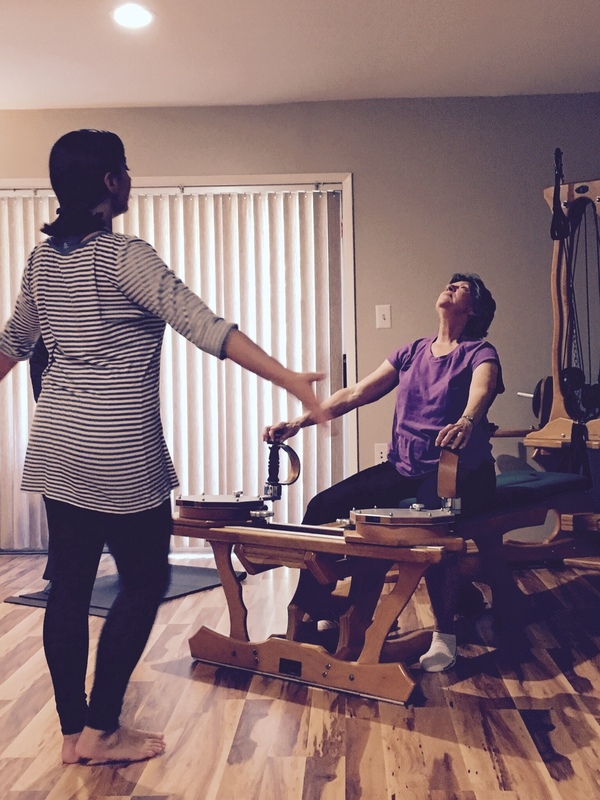 The GYROTONIC EXPANSION SYSTEM® offers similar benefits also found in yoga, swimming, gymnastics, dance and tai chi to reinvigorate and rehabilitate. It was created by Juliu Horvath in New York in the early 1980's, after years studying yoga and meditation. Originally made for dancers, the work has proven to be an effective method for not only elite athletes, but also patients with neurological diseases. It improves balance and nervous system awareness, and can be used to gently break down scar tissue, improve range of motion, and develop healthier pathways to avoid injury. The exercises are in circular and spiraling motions and can be modified to benefit everyone from children to seniors. Using machines with a pulley system that allow for limitless movement possibilities, clients can simultaneously strengthen and lengthen. Once the key principles are understood, the challenge then is to maintain that organization in more advanced material and environments. People often immediately feel taller, within a few weeks have improved posture and alignment, and go on to find strength and coordination. This ultimately creates more balance in the body. It is possible to do Private, Semi-Private, Group, and Independent sessions. With a multitude of modifications, there are always ways to customize and reach every client's objective. Privates, Semi-Privates, and Group classes are available by appointment. Group class with Jonathan Poretta (Principal Dancer at Pacific Northwest Ballet), Jordan Pacitti (Creator of Jordan Samuel Skin, formerly Pacific Northwest Ballet Dancer), Ariana Lallone (Dancer and Aerialist with Teatro Zinzanni, former Principal Dancer with Pacific Northwest Ballet), and Benjamin Griffiths (Principal with Pacific Northwest Ballet).